Stop the body & food struggle. Experience Peace. love yourself. What is the Self Love Mastery Online Course? Self Love Mastery is an online course that teaches you how to love yourself and your body so that you can eat, move, and LIVE from a place of peace, purpose & love. If you're tired of obsessing over your weight, food choices & the way you look, but haven't figured out to stop the exhausting pattern of negative self talk & dieting, the Self Love Mastery online course is your ticket to a new experience around food & your body. I understand the excruciating pain of using food to deal with emotional turmoil & I've acutely felt the inflicted shame of 'carrying extra weight'. I've experienced the crushing lows of body image obsession, food choice hell & cravings that are seemingly unreasonable but at the same time insatiable. I've also worked with hundreds of women in my private coaching practice experiencing unique variations on the same theme of body obsession, confusing acts of self sabotage & total disconnection from their hunger & satiation signals. Through this very personal experience, as well as the true honor of working with these other women I have come up with a totally new and revolutionary method for remembering how to love ourselves & overcome the self-sabotaging behavior, unhealthy weight gain & body obsession once & for all. The Self Love Mastery online course is the culmination of this experience & knowledge all laid out in sequential order to help you remember how to tune into your body's needs & experience to peace & assuredness of true self-love. You can be 100% sure what you are eating, how you are exercising & the self care you practice is the exact right type for you. You can live from a place of total self-love. 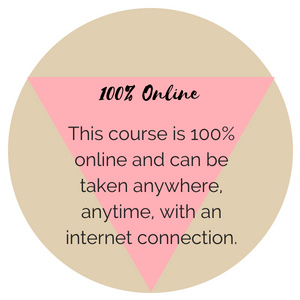 What happens when you take the Self Love Mastery online course? You move & exercise because it feels good, not because you think you "should"
Are you ready to be done with the over-eating, negative self-talk, and feeling like a failure because of the size, shape, look of your body?